Pupils at an Oxfordshire primary school learnt about sustainable living via the story of super-hero Captain Envirotron, thanks to the Sheehan Group. Children at West Kidlington Primary School were treated to a special reading of the story of ‘Captain Envirotron and the battle to save planet earth’, by its author Tara Sheehan, Finance Director of the Sheehan Group. 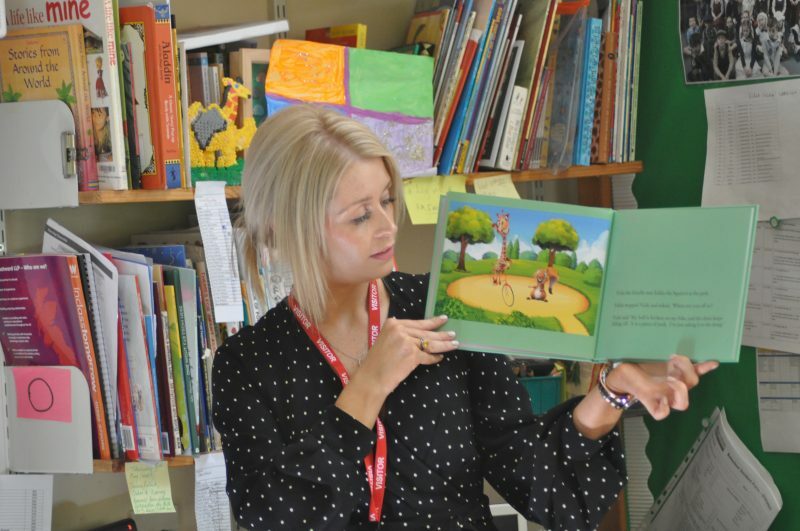 Tara wrote the children’s book to educate youngsters on the value of recycling and the Sheehan Group has donated copies to several school libraries across Oxfordshire. In the eye-catching book Captain Envirotron teaches his friends of the importance of recycling waste to save the earth’s resources for the children of tomorrow. Children also took part in a recycling drawing activity workshop and one lucky pupil will see their sketch placed on the Sheehan Group’s fleet of vehicles to further promote green living.